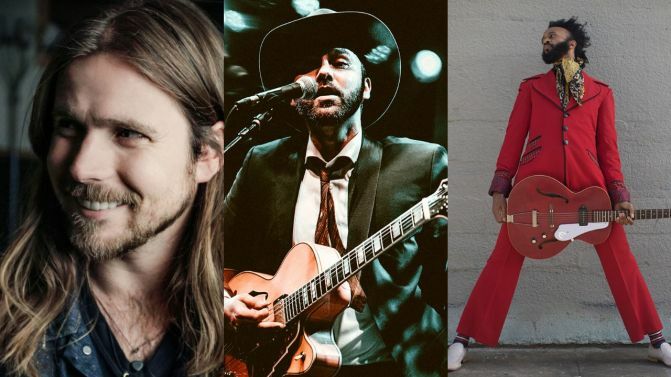 Bluesfest 2019 is literally just around the corner, and it’s truly one of the biggest musical melting pots on the planet. Artists from all walks of life, from all musical backgrounds and of all sorts of talents converge together in the North Byron Parklands for a completely uninhibited, freeing celebration of music. A giant array of artists – from the local to the legendary, the newbies to the veterans – are giving any music fan something to sink into. Anyone can stumble into Bluesfest and find something for them, whether it’s a band they’ve loved for decades or a new artist they just happened to discover and will love for decades to come. However, not all of us can venture all the way to Northern NSW. So, a whole stack of those artists are bringing their beloved tunes around the country for some special sideshows and we’ve broken down some of the must sees. One of the biggest names to grace this year’s Bluesfest lineup, Iggy Pop is no stranger to electrifying an audience with his powerful and commanding stage presence. With a completely illustrious career that spans over five decades and twenty albums, Iggy has long been perfecting his craft and his raw talent combined with his effortless showmanship. Make room for one powerful concert. Whether he’s strutting half naked across the stage or surfing the hands of the crowd that adore him, his performances are always invigorated, passionate and overflowing with intense emotion – so intense that you’ll still be feeling it long after the final notes of his closing song have ended. There’s something a little cruel and unfair about how long the man behind Fantastic Negrito, Xavier Dphrepaulezz, had to work before his project garnered the breakthrough it deserved. In fact, he was making music for almost three decades before his work was recognised and appreciated on a wider scale. But, following his breakthrough in 2015, Fantastic Negrito has finally reaped the benefits of his tireless work and it shows. After having two Grammys to his name and earning himself a legion of fans, the blues superstar is making his second trip to Australia to remind Australian fans what a lifetime of hustling can really do. It almost seems impossible that someone as young as Marcus King can pack decades worth of soul, feeling and wisdom into his music, but that’s exactly what King does best. The 22-year-old will be making his debut run of Australia for Bluesfest, while also playing shows in Sydney and Melbourne. The way King and the band melt elements of both psychedelia and authentic southern rock is enamouring, and the way they infuse it with soul will make you wish the show never had to end. This being his debut run probably means he won’t be back here for a while, so it’s almost imperative that you check out this sensation as his undeniable spark begins to catch all across the world. There’s something about the music of Nathaniel Rateliff & The Night Sweats that makes you feel at home. Whether it’s because the electrifying eight-piece completely captivate you with how much they simply love playing with each other, or whether it’s because every show they put on is just as energetic, riotous and party-ready as the one that came before it, Rateliff & The Night Sweats are relentless and breathless – and will leave you feeling the same way. 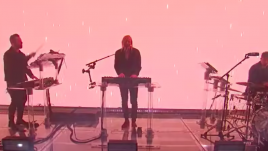 The band changed up their sound and performance style back in 2015 to one that was actually designed to be performed live, which means that they truly need to be both seen and heard to be truly appreciated. Lukas Nelson truly has a lot going for him right now. Besides being the legendary Willie Nelson’s son, so you know talent and expert performance flows through his very veins, he’s off the back of working on one of 2018’s most popular albums – the soundtrack to A Star Is Born. Nelson lent his pen to the hard-hitting, gritty country tracks that Bradley Cooper performed in the film – ‘Black Eyes’, ‘Alibi’, ‘Out of Time’ etc. – while also helping to craft the masterful duet between Cooper and Lady Gaga ‘Music To My Eyes.’ With all that considered, he has been working away for the past ten years while the hype around him comes to a climax, and now at his all time high, there’s no better time to see what makes him so special. Flogging Molly are an act that really have to be seen to be believed. While the eclectic mix of traditional Celtic music and trashing punk rock can seem odd on paper, all it takes is for you to have a look at a few of their live performances to understand why they’re so beloved. The strange fusion works surprisingly well, as the band marry the two genres that are worlds apart into something that’s energetic, relentless and incredibly memorable. 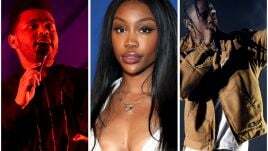 Not only that, but their music is politically aware and deeply important – especially given the current social climate across the Western world. Flogging Molly have a sound and a message that you simply can’t ignore. One of the best parts of Bluesfest is its remarkable ability to bring such a wide variety of artists from all walks of life and music together in one space. But sometimes the biggest sounds can come from the most unlikely places, and such is the entire ethos of Shakey Graves. Alejandro Rose-Garcia packs a whole marching band’s worth of energy, sound and life into his one-man band and then some. With over a decade in the game, he never stops evolving and changing. Of his latest record Can’t Wake Up, he said to Bluesfest that “this record is the most I’ve ever intentionally worked on a project, musically speaking, in terms of the scope of it and how much thought went into it.” No better place to see that thought progress into action than his sideshows. From a one-man band to a band with over 20 members, Snarky Puppy embody everything that is great about a jam sesh. But, what’s best about them is they represent what Bluesfest is all about – people from across the globe uniting for their love of music. A band that is built on the marriage of Black and White American music, and with in-band representation from Argentina, Puerto Rico, Canada, Japan and The UK, Snarky Puppy is a real melting pop of cultures that cook up some music that is absolutely delicious. Frankly given Ray LaMontagne’s awesome career, you shouldn’t need us telling you to go and see his sideshows – but we’re here just in case you needed the friendly reminder. With seven albums released in just 15 years, LaMontagne has been compared to the likes of Otis Redding and Van Morrison so you know he means business. But, more importantly, LaMontagne rarely tours Australia so this might literally be a once in a lifetime opportunity. On top of that, he is bringing bassist John Stirratt who fans may recognise as the bassist for the band Wilco. This is one you’re simply not going to want to miss. Stay tuned for part 2 of our Bluesfest 2019 sideshow guide!